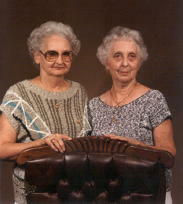 Living in Ranger, TX today are sisters, EVA MILLS & MORINE NORMA MILLS. 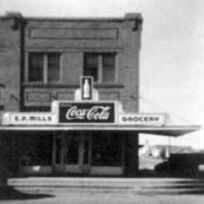 State Bank for a number of years and Eva also was employed by the J.C.
Penney store while it graced the main street of Ranger. 20th  century and into the 21st century in Ranger. two sons and two daughters to Ranger. and died in February of 1975. Ranger at the Evergreen Cemetery. California. All four are buried in Ranger at the Evergreen Cemetery. a few hours after birth and buried at Pioneer Cemetery, Ranger, Texas. and is also buried at Pioneer Cemetery. Rayford and James Preston Mills. December 1, 1991, Arlington, Texas. June 28, 1996, in Ranger. but we know little more about them. Eva Mills as residents for many, many  years to come.